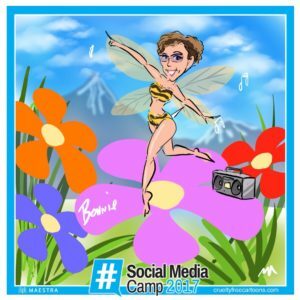 I recently spent two days at Social Media Camp and am saturated with information. I thought I’d squeeze my brain and share my notes on Social Media 2.0, Content Planning, and Crisis Management. I selected my notes from three speakers including a high-level strategic perspective, and practical checklists so you can make things happen. Ramona Pringle – Ramona Pringle is a creator, storyteller, educator, and researcher focused on the intersection of technology and the human experience. Ramona Pringle reported that after ten years of social media, we’re just getting over the honeymoon stage. We’ve explored, seen the networks through rose coloured glasses, connected with loved ones, and maybe collaborated in our business. The market is saturated. So, what’s next? What will Social Media 2.0 look like? What’s going to happen in the next six months? We probably can’t see beyond two years, because it’s changing so fast. And we’ve become a bit wary. Kids growing up today will be in jobs that don’t even exist today. There are bot’s, virtual reality, augmented reality. Everyone wants to get into your head. The thing that developers and marketers have to remember is that it is humans driving social media. They are not just a number on a spreadsheet or a user behind a device. People need to come first! From your business perspective, don’t just zoom in to deliver another post. Zoom out to consider the bigger picture and the context and value of what you are delivering to the person viewing at the other end of your post. Angela Crocker – A thought leader in online communities, digital decluttering, and content planning. 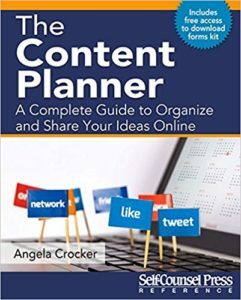 Angela recently published a book called The Content Planner. As all marketers are content creators at some level, her objective is to reduce your internet stress with mindful planning. She shared the following outline of how to plan and generate your content ideas. Is it a strategic campaign, a passion project, a mission, or a blend of things? AUDIENCE – Who are you talking to? PLACE – On what platform are you delivering? Research – go beyond Google Search. Interviews, surveys, archives, etc. SHARE – put it out there, and…! You can’t just post and leave it. 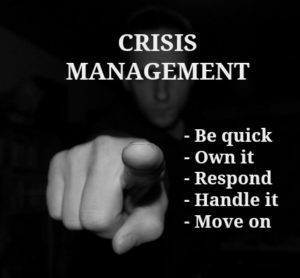 You have to Listen, so you can respond, interact, and fix errors. Ask your super fans for feedback and input on your content. Is it resonating with them, or what else would they like to see? As with anything worth doing, take some time to test a process and make it work for you. This plan is a great starting point. Beverley Theresa – A sassy and unconventional social media strategist and consultant, Beverley has helped national businesses and brands win in the social media marketing realm. Because social media is such an out-there public forum, you need to be prepared for when the you-know-what hits the proverbial fan if someone trashes your company or brand online. Beverley provided some sound tips for companies with employees, but the message is clear for any entrepreneur or business owner. When someone posts something about an error or issue about your company, be ready to acknowledge it, skillfully respond to it, and then manage it further offline. Is anybody talking about your brand? Also look for common spelling errors of your brand. Where did the comment come from, and where has it spread to? Social Media Camp is such a great event with something for everybody, and it’s the largest social conference in Canada. We all participate in a social media world, so I encourage you to consider attending next year. Can’t make it to SMC, but still want help with your Social Media? Contact me for some support and hand holding. I’m going outside to play now to boost my creative juices.